New Mexico-based One Aviation made an 11th-hour appeal this week to remain in operation at the Albuquerque International Sunport (ABQ) as executives endeavor to restructure the company with greater emphasis on the production and servicing of Eclipse very light jets, documents obtained by AIN reveal. 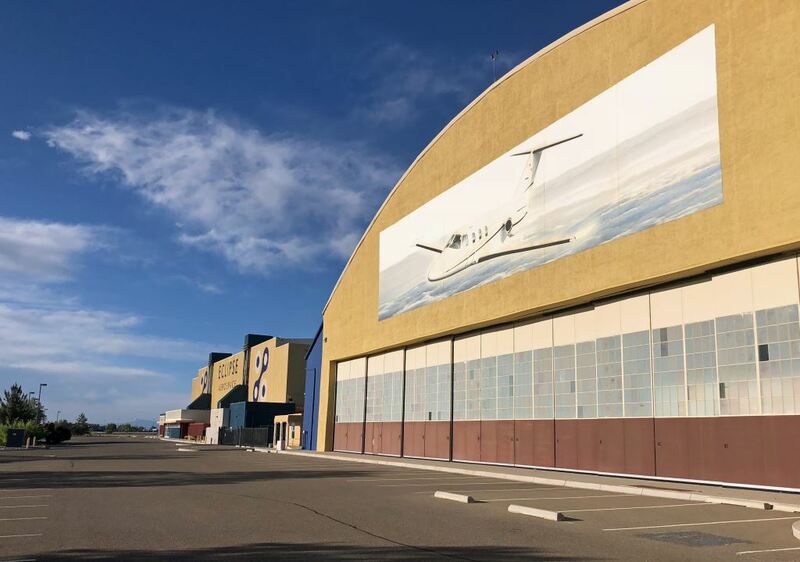 On April 26, the city of Albuquerque served One Aviation and partner company Eclipse Aerospace with an order to vacate its facilities at ABQ by May 8 unless the company paid more than $895,000 in rent and utilities dating back to November. Eclipse has continued with maintenance and training operations at ABQ past that deadline. On May 8, COO Kevin Gould wrote the city that One Aviation would make two payments, totaling $161,829.84, and further requested a reimbursement agreement with the city for the remaining balance owed, "as we take the company through a restructuring process." The company made good on those two payments, but on May 16 the city attorney's office refused One Aviation’s request for additional financial accommodations and served the company with a three-day notice of eviction from all facilities at ABQ. Terms of the earlier order also require the surrender of an experimental Eclipse 500 prototype that is now flying as a testbed for the planned Eclipse 700’s larger wing. This may not be the end of Eclipse's time in Albuquerque, however. Following a meeting between the two sides, One Aviation chairman Mike Wyse responded to the eviction order with a promise of "immediate payment" of all monies owed, now totaling approximately $790,000, and a request to iron out a new lease agreement that would see the company relinquish its paint and production facilities at ABQ while continuing operations from a remaining hangar. Wyse further noted those as-yet undisclosed investors "want to grow the business by restarting production of the EA550" that was halted last year, as well as developing "new models of aircraft such as the EA700," and requested a May 17 meeting with the city to discuss the proposal. Gould would not comment Thursday afternoon if that meeting had been scheduled or had already taken place. The city's attorney for ABQ also declined comment to AIN at press time, and messages to Wyse and One Aviation CEO Alan Klapmeier—the latter of whom is not named in any of the documents pertaining to the situation at ABQ—have not yet been returned.